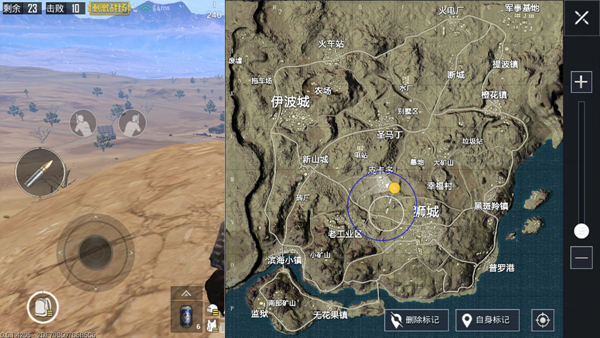 PUBG Mobile: Stimulating the battlefield is a very tactical game. If you want to get the last laugh from a hundred people, only accurate marksmanship is not enough, and tactics are in the exciting battlefield. It is also very important. Let’s explain to you the correct posture of the bridge. ! 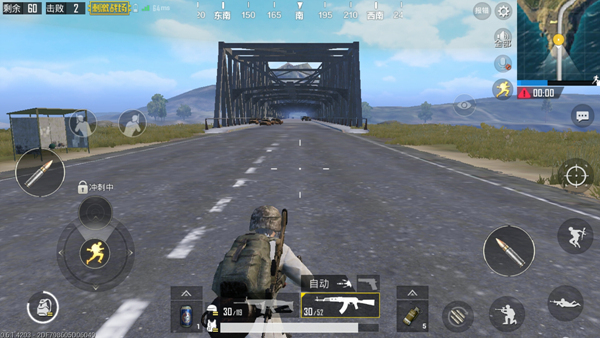 As the name suggests, Shouqiao is the player who stays near the bridges inherent in the map, kills them when the enemy passes by, and then picks up the enemy’s supplies, turning directly from the civilians to the rich. Advantages: Shouqiao can greatly reduce player’s search for goods Time, you can receive generous supplies. Disadvantages: The risk is high. 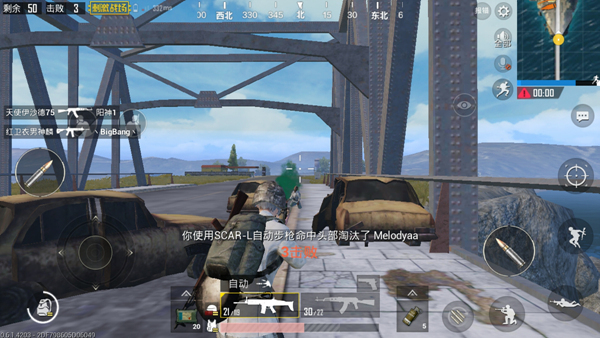 The player who chooses to ambush the bridge will not necessarily have enemies passing through, and even if they pass the player Must be able to successfully kill the enemy, and even be killed by the enemy. In the stimulating battlefield, there are seven bridges in the map of Jedi Island, of which two are in G Harbor. There are more people passing through the two bridges and the military base. The remaining three bridges are very short and few players choose to pass. Passion Desert There are two bridges in this desert map, but the location is relatively remote, and players are not advised to choose the bridge in the passionate desert. The enemy who crosses the bridge is usually All will choose to drive vehicles, because driving a vehicle not only increases the speed of movement, but also enhances its defense capabilities. There are no strict requirements for the firearms needed for the bridge maintenance. It varies from person to person. If the player is accurate marksmanship, it is recommended to choose a sniper rifle or rifle, firing mode into a single point, choose to kill the driver directly ; if feel the gunman not allowed players, it is recommended to select the machine gun or Thompson submachine gun, sweep the enemy’s vehicle. Keeping the bridge sounds dangerous, but in reality it is not. If you understand the correct posture of the bridge, it is actually very simple. It is suggested that players choose some bridges for traffic arteries because the number of enemies on the bridge is . There are many bridges because the distance is short and the width of the river itself is not large. Most players choose to swim through, not Will cross the bridge. A long journey bridge There are a lot of bunkers on the player, players can choose to hide behind the bunker ambush the enemy. 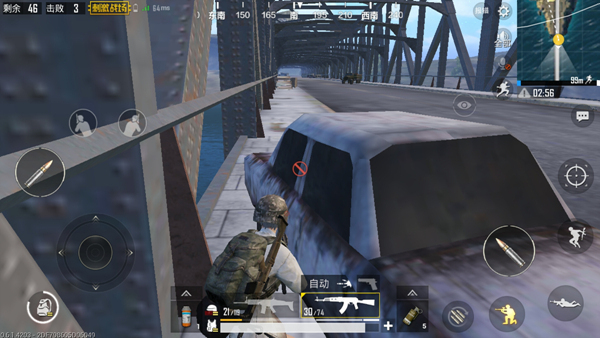 Appropriate use of the bunker in the bridge can perfectly avoid the danger of the enemy hitting the player with the vehicle. Even if the enemy chooses to jump and the player has just shot, the player will have a geographical advantage. The bridge ambush, cover itself with grass or stones, and wait for the enemy to shoot after crossing the bridge. It’s safe, but you have less chance of killing the enemy successfully, unless you directly swept the vehicle. If not, the enemy will drive.The vehicle fled successfully. 1. When firing a driver, the player needs to predict the course of the enemy’s walking And the speed of the vehicle’s walking so that it can hit the enemy. 2. When selecting a shot carrier, it is possible to detonate the tire of the vehicle first and force it The enemy jumps and then chooses to explode the vehicle. Although there are many benefits to the bridge, there is a high risk factor, and it is recommended that novice players try carefully !